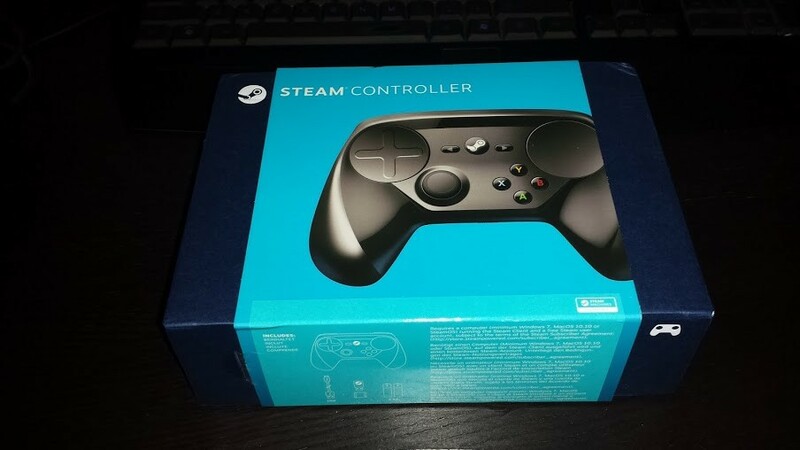 I received my pre-order of the Steam controller in mid-October, and I am quite happy. This controller is designed to bridge the gap between desktop/PC gaming and the TV/Console gaming arenas. And as an avid, non-exclusionary gamer, I try to enjoy any platform available to me. Now being able to play my PC games, and not be stuck at my desk after a long day stuck at my desk at work is an exciting prospect to behold. For those that are unaware of the Steam controller, or the company behind this new controller, let me give you a short back story before we dive into the review. Valve is the company behind such game series as Team Fortress, Portal, DOTA, Left 4 Dead, and the Half-Life (sorry, still no HL3 confirmed). They also started the game store/distribution system called Steam. It is a piece of software that lets you browse for new games, purchase, and play them all from one place. Purchased games can be played on multiple systems, though not at the same time. Also, there are often sales, sometimes at pretty great discounts. Here’s looking at you Spring/Winter sales…my wallet is trembling in fear. The Steam controller is a new product just developed by Valve, which is part of their larger endeavor to bring PC gaming to the living room. Big Picture mode in Steam lets you have a more controller-friendly interface, and the new controller takes this a step further. This controller can not only behave as a normal controller, but the touchpads enable you to also use this as a keyboard/mouse combo, which means you aren’t having to juggle multiple devices just to sit in your living room to play. One of the first things that stood out to me was the rubberized feel of the L/R trigger and buttons at the top of the controller. It felt nice, and after a little use, it doesn’t stand out, but it’s still a nice texture. Ergonomically, the left and right pads are where you would probably feel most comfortable spending most of your time. The analog stick on the left isn’t in a bad location, but it feels awkward to press the ABXY buttons, at least when you first start using the controller. The rear grip should help with that, common actions such as reloading or alt/shift/control button presses should be made easier with that extra option. Upon removing the controller from the package, I noticed what looked like a toggle, on/off switch at the bottom. This is actually a switch to release the battery compartment cover. This cover is the one part that feels cheaper than it should, and makes me a little concerned if it were to break. It just doesn’t feel like it’s the same quality as the rest of the controller. This functions as both the cover for the battery compartment, and the grip buttons, so I could see over time, the stress of use causing some issues. Included is a USB dongle for the Bluetooth 4.0 connection, which is essential as there are plenty of computers without that Bluetooth, let alone Bluetooth 4.0. It comes with a micro-USB cord, as well as a dock for the dongle itself. So there are multiple configuration options that can be had, depending on your circumstances. Simply plugging the dongle into the computer, routing the cord to a computer with the dock in reaching distance, or even connecting the cable(or a much longer alternate) directly to your controller. Starting up the controller in Steam starts the first firmware update(s). The ability to perform firmware updates means we can continue to have bug fixes and functionality increases throughout the life of the controller. Take this time to go away, take a bio break, grab a drink, and prepare to be stationary for some time. The controller does require Steam to function, as it acts as the device drivers that are needed to interface between the computer and controller. So you won’t be able to useBut immediately jumping into games works well in most cases right off the bat. For games that use a controller, there’s usually no further configurations needed or suggested. For keyboard/mouse style games, or any games that doesn’t have a default configuration already assigned, you’ll see a notice that there is no configuration, and it will provide you a list of options when the game first starts. These include default templates, as well as community created configurations. It appears as the community configurations will be ranked based on popular setups, so as more and more people start using the controller, you’ll be able to quickly pick a default configuration that will work well for you, and tweak as you need. This leads me to the configuration of the controller. To call this controller “configurable” is putting it lightly. The left and right pads, the analog stick, and the buttons, can all function on nearly equivalent states. You want to try something weird on for size, try assigning the ABXY buttons to take the Style of Input to be a mouse. Why you ask? Because you can. Most people will probably use the defaults for everything, and that’s perfectly fine. But if you wanted to change a button/pad’s functionality, you can very simply and easily. Repeat, haptic(off/low/medium/high), response speed, deadzone tweaking, etc. All of this can be customized, and result in a controller that works for you as you require it to work. I had a moment in one game, that the left analog stick was only doing forward/backward/left/right movements, but wouldn’t combine them. I went looking, and sure enough, there’s an option to change that behavior(Overlap Directions if you’re interested). I went back into the game, and it worked perfectly. And because you can switch to the Steam configuration while in a game, you can do all of this tweaking and configurations without quitting your game. Simply pause, configure, and resume, it’s as easy as that. Honestly, I’d intended to play test many more games than I did, but my early days of play were waylaid by PlanetBase. That’s a whole other topic though. PlanetBase itself is a keyboard/mouse setup, but it’s a fairly simplistic control scheme. So it could easily be any controller setup. However, as they do not have any control modifications enabled in the game, this would be difficult with any other controller. With the Steam Controller, it just worked. Some more complex keyboard/mouse setups might be better served by remaining on a keyboard/mouse, but they would still benefit greatly from the Steam controller, as opposed to another controller setup. But keep in mind, this controller isn’t fully intended(from what I’ve seen) to replace any desktop connected controllers. It main purpose is to allow PC gaming to move from only the desktop to the TV. Most of the controller-based games just worked. There were a few hiccups, but a simple tweak in configuration(or changing to a more suitable default configuration) and I was away gaming again. Reloading weapons in FPS can easily be mapped to the bottom grip buttons, thus avoiding the common switch from thumb stick to ABXY and back. For me, the most difficult thing to get used to is the lack of a thumb stick on the right side, where the touchpad is now placed. You can set it up so that the touchpad acts like a thumb stick, reverting to center default, the spring-back effect. But without the stick there to “guide” you back, it’s sometimes difficult to remember that it’s in the center again. It’s just retraining yourself to use this, but it will cause some people to question whether they made the right decision. There’s been quite a bit of hype and gripe from both sides of the camp on this controller. Why would I use this, when I have my XBox 360 controller on my PC? Why use a controller at all when I can just use keyboard/mouse? Why even game on a PC when I can use a console? If you’re at all integrated in the PC gaming community, I’m sure this discussion has come up at least once. In the end, it’s a personal preference on which you use. Most of the time, I use my keyboard/mouse to play, but I do occasionally like to use a controller, especially for certain games like FPS. The thing is, this controller helps bridge that gap. And it’s a gap worth bridging, if the PC gaming is to ever come to the living room/TV environment. There are so many keyboard/mouse games that just don’t work on a regular controller. And I know for me personally, keyboard/mouse is great on a desk, but it’s lousy when I’m trying to relax in my recliner in front of my TV(even if I do use a trackball there). Is the Steam controller the perfect solution? 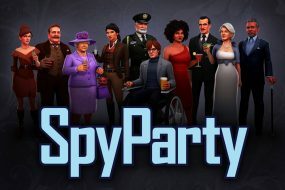 It may not be, but I think it’s a huge leap forward for bridging this gap, and I’m excited to continue playing all of my games with the freedom of venue around my house. In conclusion, I’m quite happy with my purchase. Will I be forevermore a Steam Controller gamer? Probably not completely, I’ll still use my keyboard/mouse for some games that are more suited for that action(MMOs for instance). But I know it will take over as my main controller interface for Steam games. The ability to configure virtually every aspect of the controller has a tremendous boost to my long-term enjoyment. Being able to cross function as both controller and keyboard/mouse, depending on the game needs, without having to deal with sometimes lackluster configurations for controllers/keyboards means I can play like I want, not how they want(or were too constricted to provide an input configuration). Being able to finally take a good stance in the living room means I’m not constrained to my desk for most of my Steam gaming needs. Combining this with a Steam Link, or a Steam Machine, and I might actually be able to finally make a dent in the long list of unplayed/unfinished Steam games(damn you dirty Spring/Winter sales). Freedom and choice of venue for gaming, while not being restricted to the XBox/PlayStation/PC connected to that specific location. Life-long gamer, with plenty of betas under my belt. I have gone through a number of gaming phases, including MMOs, console, mobile, and now mostly PC gaming. One thing remains, wherever I am, there's a game close by.